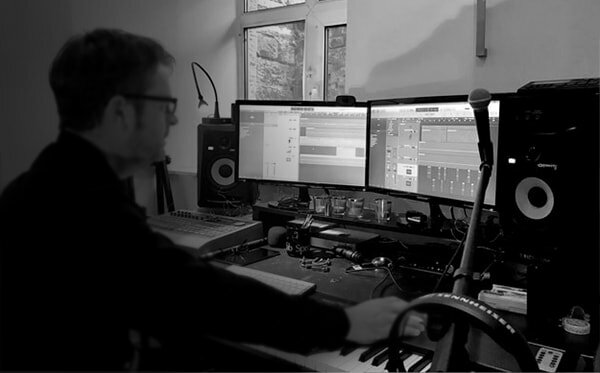 As an experienced composer and musician, as well as recording engineer and producer, the majority of the work involved in creating pieces of music is done in-house in my own Studio. After consultation with the client on the purposes of the music I create sample musical pieces which can then be further edited to requirements, before moving on to engineer full production values. Please go to the Music for Media page to hear some examples of my work. If you need high-quality bespoke music, even in a relatively short turn-around time, please contact me to discuss your requirements. We are currently involved in an exciting collaborative project with the University of Bradford and Bradford UNESCO City of Film. This is a short piece I composed and recorded as an entry to the Spitfire Audio Start Scoring Movies Now competition.